Clash Royale needs no introduction, as it has already a lot of popularity in a very short span of time. After a lot of discussions, finally, the new update is live as per the schedule. This update, as promised, is a major balancing update which has been discussed below. The latest update has brought the following major changes. You can download the Clash Royale 1.3.2 APK file from the download link provided below; it has been directly extracted from Google Play without any modifications. Six new cards have been added in the game which includes Fire Spirits, Furnace, Guards, Lava Hound, Miner and Sparky. Now we can watch live friendly battles. Maximum Gold limit increased to 1 Million. 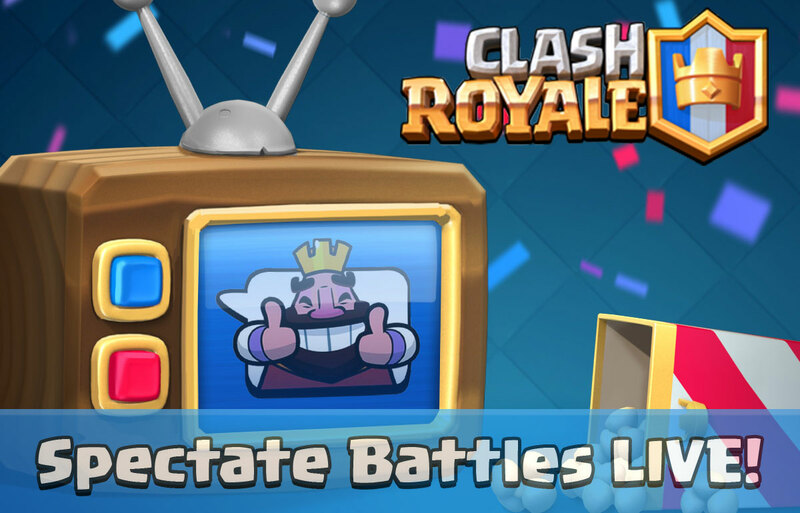 New TV Royale Channels has been introduced that allow us to watch the best battles from any Arena. Receive Gold for each win, even when your chest slots are full. Crown Chest now contains twice as much! Super Magical Chest has now a double chance to appear. Giant and Magical Chests chance to drop has increased. Donations/Requests increases as you reach higher Arenas. Legendary Cards in Card Shop can appear once you’ve reached the Legendary Arena. Along with the above-mentioned features, this new update has bought the following balancing in the game. Mortar deployment time has been increased to 5 seconds (earlier 3 sec), and the damage has been decreased by 10%. Moreover, Mortar will be capped at level 9 instead of level 8. The lifetime of Bomb Tower has been reduced to 40 seconds from 60 sec. The hit-points of Elixir Collector has been reduced by 20%. Hit-points of cannon also decreased by 11%. The range of Royale Giant has been increased by 1. Now common and rare cards are mirrored 1 level higher while using the mirror card. Valkyrie and Mini PEKKA will now be affected by a fireball. To get more updates in Clash Royale, stay tuned with us.